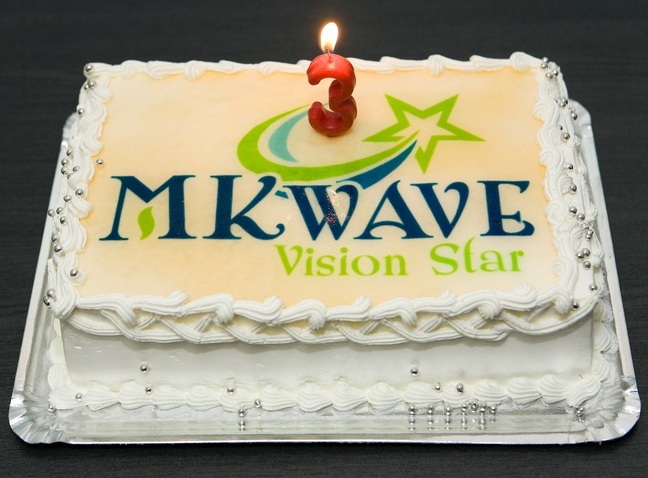 MKwave Vision Star is a young, dynamic team, dedicated to achieving every goal it sets its mind to. The urge for communication in this new media based environment is growing larger by day, and more and more organizations are launching in a battle to win visibility space on the present social and economical market. Our company tries to integrate all these requests by offering the best services concerning the visual identity of organizations, long term marketing strategies, PR and Human Resources. We value the most the relationship between our company and the partners or clients we have, which is why every service we provide will be adapted to the organization's specific. In all the proposed activities we respect this relationship, thus, throughout the collaboration; our clients will be permanently informed in order to ensure the transparency and the business ethics that the MKwave Vision Star team shows. "Knowing the team members of the people that founded the company MkWave Vision Star, we dared to externalize our marketing services of our company, since the first month of its existence. Thus, Digital IT Consulting was among the first MkWave Vision Star clients, company to which we entrusted: defining our organization's image, conceiving strategies for media acknowledgment, promotion materials necessary to our commercial department, selling campaigns etc. We are very satisfied of our partnership and we want it to last for a very long time." - Darius Olteanu, associate Digital IT Consulting. "Drivertising's image is being handled by the marketing agency, MkWave Vision Star. The young and enthusiastic team as well as the results of our first months of collaboration have increased our confidence in the company's potential and the task we gave them became more and more great. They conceive strategies, propose and accomplish. Our job has been reduced at only specifying what we want. MkWave Vision Star is our partner, but sometimes we look at it as if it were our own department of the company." - Alexandru Ciucu, managing partner Drivertising.